Note: This post includes affiliate links for the Genius Blogger’s Toolkit, which is a fantastic collection of blogging resources that I highly recommend. If you choose to buy the toolkit using my affiliate link, I earn a small commission at no extra cost to you. The Genius Blogger’s Toolkit for 2018 is a collection of 77 blogging resources worth nearly $6,000. 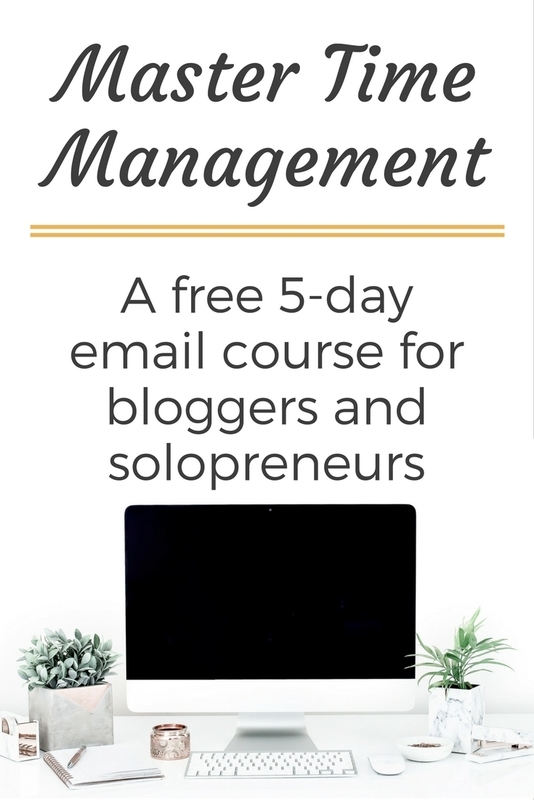 With 41 eCourses, 15 eBooks, 9 printable packs & workbooks, 5 templates, 5 stock photo packs, and 2 membership sites–all hand-selected by an expert panel–the bundle has just about everything a blogger needs to be successful. And all that (plus some juicy bonuses) costs just $97. You’re probably thinking, what’s the catch? There is no catch! The bloggers who contribute to the bundle are able to pool their resources and drastically reduce costs, hence the steal-of-a-deal price you get. Well, I guess there is one catch: the bundle is only available for a few days before it disappears. The Genius Blogger’s Toolkit 2018 edition is on sale from Wednesday, October 10 to Monday, October 15, 2018. Note: I didn’t have time to thoroughly test all the products in the toolkit, so I’ve only reviewed the products I did try. To see the full list of products included in the bundle, click here. If there’s a product I didn’t review and you want to hear about, let me know in the comments and I’ll check it out and update this post. Quick Summary: This is an in-depth and incredibly useful course for Pinterest ad newbies. At $97, it costs the same as the bundle, so if you’ve been thinking about getting started with Pinterest ads, this course alone makes the bundle worth it. A lot of my readers have been asking me for resources on Pinterest ads (also known as promoted pins) lately, which is why I was so excited to see this in the bundle and try it out. One big turn-off for me was getting two sales pitches for Monica’s other Pinterest courses before I even got into the course content. I don’t want to be too critical because I sell pretty hard, too. But it was kind of annoying, so I thought I should mention it. The course lessons include both text and video and do cover a few Pinterest basics, like how to set-up a Pinterest business profile and how to set-up rich pins. The course then moves into the in-depth material directly related to Pinterest ads, like how to add a conversion tracking tag to your blog (I love that Monica includes both WordPress and Squarespace here), setting up ad audiences, and types of ads. I’ve been using Pinterest ads for 6 months, but I still got tons of ideas to improve my ads from the course. In fact, the course was so useful, I actually signed up to be notified when Monica’s more advanced Pinterest ads course opens for enrollment. Quick Summary: Created by a master organizer, I guarantee the printable planner will help you organize every. single. part of your blog and business. When you download this planner you’ll understand why Abby has a blog on organizing. 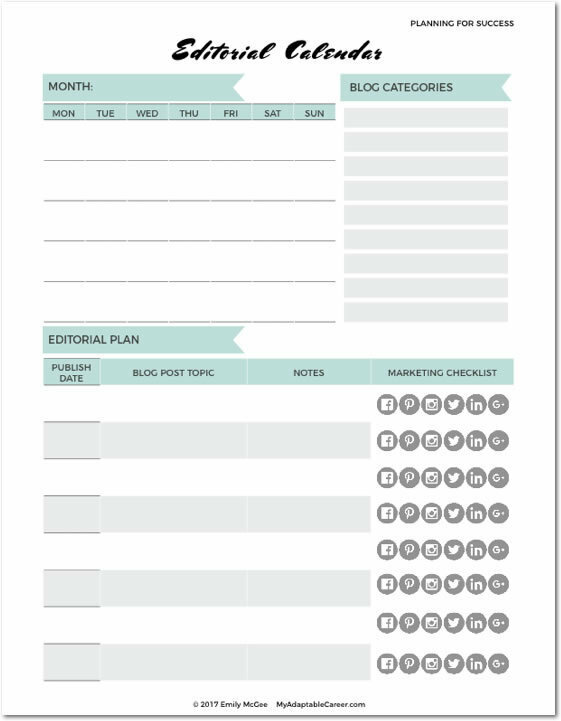 She has thought of EVERYTHING a blogger needs to do, then organized those tasks and plans into easy-to-use printables. Seriously, there’s 86 pages here and each one is different (so it’s not like 52 pages of weekly spreads, if that makes sense). From a design perspective, this planner isn’t really my style, but Abby generously offered two other designs, so I’m really excited to download the teal version, which is definitely my style! Quick Summary: Really useful affiliate marketing training for beginner and intermediate bloggers. Umm, I probably should have taken this course before I wrote this post. I’ve taken Making Sense of Affiliate Marketing and I wasn’t a big fan. I thought it was quite basic and overpriced. Somehow, this course is cheaper, more advanced, and more useful. There’s detailed info on the four best types of affiliate links for the average blogger and where to find affiliate links that pay you to promote something that’s free for your audience (game-changer!). Plus, there are case studies and tips for improving your affiliate conversions in blog posts and emails. Another plus: Carly comes across as really down-to-earth and personable in the course materials, which is a breath of fresh air after some of the more boring courses I’ve taken. You’ll feel like she’s in the room coaching you, which is awesome. Quick Summary: I’m kicking myself for buying so many templates when I could have just waited and gotten these beauties in the bundle. Y’all, I love templates almost as much as I love planners. You know why? Because templates save you SO much time. One thing that drives me nuts is when a bundle includes templates for Photoshop or InDesign. Hello… most bloggers who need templates in the first place aren’t using Photoshop or InDesign! We’re too design-challenged, so we’re using Canva. That’s why I was so happy to see that these templates were included. They’re seriously beautiful, easy to edit, and obviously created by a professional designer, unlike some of the more amateur-looking templates I’ve bought in the past. I just wish there were matching social media templates included, but you can’t have it all. Quick Summary: Two advanced courses on digital product creation and facebook ads, perfect for the more experienced blogger. This is one of the more advanced products in the Genius Blogger’s Toolkit. If you feel like a lot of the other products are too beginner-level for you, then pay close attention to this one, it might make the bundle worth it for you. The Profitable Genius course shows you how to create and sell digital products for your audience. I like that Aja shows you how to create a value ladder for your products and think “big picture” on creating a suite of products that solve a problem for your reader. It’s something that a lot of other “How to make a digital product” courses don’t cover. I also like that Aja goes into detail on growing your email list and using email to sell your product. This seems to be a spot where a lot of bloggers struggle. Facebook Ads for Email List Growth is exactly what it sounds like: a course showing you how Aja grew her email list by 2,700 subscribers in 60 days while still turning a profit. Umm, I need this! Facebook ads are daunting, but this course made me feel a lot more confident about putting together a whole campaign, and not just throwing one ad here and there up on Facebook (my usual and unsuccessful strategy). My only complaint about these two courses is that they were almost all video. I like having the slide decks or transcripts handy so I can go back and find info later. With video I’ll have to take really good notes. Quick Summary: Learn basic HTML and CSS coding to help you tweak and customize your blog. This is a must-have for DIYers and web designers! I probably wouldn’t ever buy this course on its own, and I bet you’re the same way. Learning code sounds like a lot of work, and it’s not a high priority for me. But because this course came free in the bundle, I gave it a try. You won’t suddenly learn how to be a coder after take Crush CSS, but it will make you feel a lot more confident about tweaking your site without breaking it. After finishing the first two modules, I’ve been able to use HTML to fix formatting issues in my blog posts that have been bugging me for years. The next few modules look even more useful because they are all about using CSS to change the appearance of your blog. If you’re the DIY type or you’re a web designer who could use some HTML and CSS skills, this course is going to be amazing for you. For the rest of us, it’s a surprisingly nice addition to the bundle because it will make you feel so much more tech-savvy and confident about the code on your site. Quick Summary: More than 50 styled stock photos, mostly related to make-up or feminine workspaces. Stock photos are life! 🙌 Seriously, if photography is a weak spot for you, then stock photos can help you look polished and professional on your blog and on social media. Plus, the great thing about these stock photos is that each pack comes with 5-15 photos in the same color scheme, so you can use the photos to create a cohesive Instagram feed or brand your blog visuals to match your brand colors. The only drawback of these photos is that they aren’t going to work in every niche. And there’s a lot of pink involved. But if you can use makeup flat lays, tech flat lays, stationary flat lays, or styled desktops, you’re in luck! Quick Summary: A comprehensive course that’s perfect if you’re starting from scratch and need some guidance on how to launch your first blog. As you’ve probably noticed, a lot of the resources in the 2018 Genius Blogger’s Toolkit are aimed at people who already have a blog, not people who are literally starting from scratch. Well, this course is for all you aspiring bloggers out there. Tiffany has you fully covered with everything from finding a niche, choosing a posting schedule, getting started on social media, doing SEO, and eventually monetizing your blog. This course is all text-based, no videos. I prefer this style because it’s easier for me to find something later, but if you like video this one might not be for you. Quick Summary: An in-depth course on monetizing your blog using brand partnerships. It’s perfect for anyone in the travel, lifestyle or fashion niches. I’m a big proponent of selling your own digital products to monetize your blog but in some niches, like travel, fashion, or lifestyle, it makes more sense to work with brands. That’s why I love that this course is taught by a travel blogger who has been blogging and working with brands since 2011. Quick Summary: A very basic overview of affiliate marketing, plus affiliate programs in nine different niches. This book wasn’t my fave. It shares some basic tips on affiliate marketing and then has a long section of affiliate links divided by niche. There are also tons of the author’s affiliate links in there, which made me feel like she was just trying to get me to sign up for these affiliate programs so she could earn a commission. It just felt sort of sleazy to me. If you’re absolutely brand new to affiliate marketing, you’ll probably find this book helpful. Otherwise, it’s pretty basic stuff. You’d be better off spending your time on Affiliate Marketing for Bloggers, a course that’s also included in the Genius Blogger’s Toolkit. Quick Summary: The perfect resource for new bloggers, this reference book includes 340+ blogging terms defined in detail, 50+ resource reviews, 7 blogging tutorials, and a lit of Facebook groups and Pinterest group boards for bloggers in all niches. I’m obsessed with this book, and I’ve been promoting it to my audience since it launched last March. It’s the kind of incredibly useful resource that I wish existed when I started blogging. Seriously, this 200 page book is THE textbook on blogging that every new blogger should own. Not sure what the difference is between a “do follow” and “no-follow” link or why you should care? In Blogcabulary Plus, Nataly explains these (and 338 other terms) clearly and simply so you’ll be an expert in no time. Overwhelmed by all the products, services, ebooks, and courses out there? Have no fear. The comprehensive reviews in Blogcabulary Plus will help you sort through the overwhelm and pick the resources you ACTUALLY need, so you can stop wasting money. Wondering how to get a Pinterest widget on your site so you can get more Pinterest followers? Not sure how to submit your site map to Google so you can start getting organic traffic? The clear instructions and labeled screenshots in the tutorial section of Blogcabulary Plus will walk you through these and other common blogging set-ups. This book is an awesome addition to the Genius Blogger’s Toolkit. Quick Summary: A fill-in-the-blank workbook that makes it super easy to write an irresistible sales page. Have you ever written a sales page before? It’s definitely one of my least favorite things to do as a business owner. It’s just. so. hard! And it takes forever. Seriously, such a chore. Anyway, this workbook is amazing! Lindsay has broken down the parts of a sales page into tiny chunks, and for each chunk, she gives you a prompt to answer. Write down your answer in the workbook, and when you finish..voila! You’ve got a killer sales page all ready to go. I’ve bought sales page templates before, but this is the first workbook I’ve seen, and I like it better. 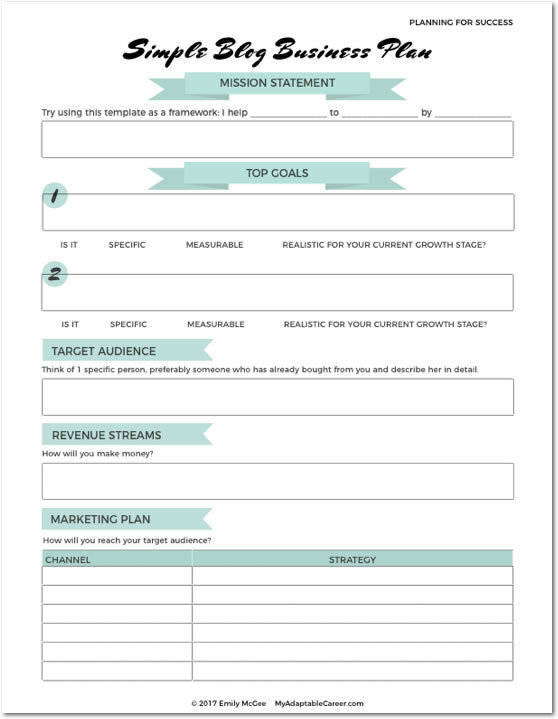 With a template, you have to tweak everything to fit your specific product and audience. With this workbook, that task just feels easier because all you have to do is simply respond to the prompts. Should you buy the Genius Blogger’s Toolkit 2018 edition? It all depends on your goals and the stage of blogging you’re at. If you’re an experienced blogger making a full-time income from your blog, then I don’t think you need the Genius Blogger’s Toolkit. But if you’re a beginner or intermediate blogger focused on a specific area of growth, such as growing your email list, launching a digital product, growing your social media presence or starting a blog from scratch, then I think you should absolutely take advantage of the great deal on the Genius Blogger’s Toolkit. In addition to the 77 e-courses, ebooks, workbooks, styled stock photo packs, and templates, the toolkit also includes several amazing bonuses that will help you reach your goals faster. Want to launch a digital product? Use the free 3-month Podia subscription as a platform to sell your ecourse, ebook or membership program. Ready to grow your email list? Get 2 months of ConvertKit for free! Working on your social media presence? Schedule your pinterest pins for free for 3 months at Tailwind. The toolkit is worth $5,867, but costs just $97. With a 30-day return window, it’s risk-free, and arguably the best blogging deal of the year. What are you waiting for? The sale’s only on for a few days, so grab your bundle before time runs out! Have questions about the bundle? Curious about some of the other products included? Leave a comment and I’ll get back to you ASAP! My favorite download so far are your workflows! I will definitely be using them, and I’m glad I discovered your blog. I’ll definitely come back for more great tips! Thank you so much for the kind words and for stopping by my blog Joanna! I’m so glad you enjoyed my Workflows! After seeing all the amazing products in the toolkit, I was pretty humbled and felt like mine was nothing special. So it means a lot to me to hear you find them helpful!